Frolic was built for Pilot Alf Edwards of Cardiff. After amalgamation she was converted to a yacht and subsequently when in the ownership of N.A. and J.S Bacon in the early 1930s and under Major Crosthwaite-Eyre in the later 1930s achieved considerable racing success. 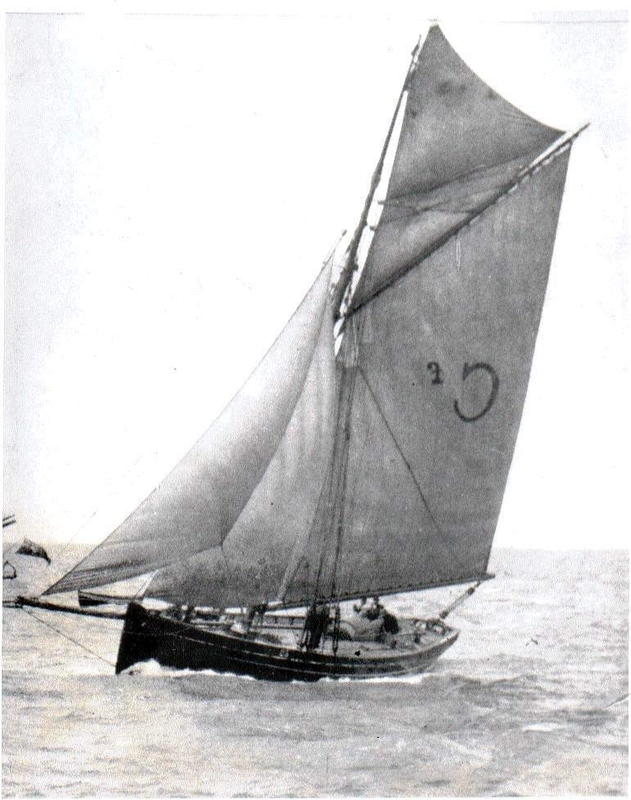 Most memorably she won-on handicap-the Bristol Channel Race of 1936 when helmed by the venerable Frank Trott, the retired Bristol Channel Pilot. In 1952 she was bought by Peter Stubbs who restored her, converting her to schooner rig to be more manageable with his family. In the late 1970s she was sold to her present owner and has remained in Norway since then and is currently undergoing restoration.